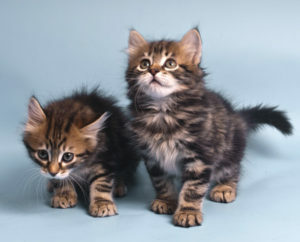 Siberian Cats, What Are They? Siberian cats are originated none other than Russia. It is one of the common breeds as housecat in Russia. It is estimated to exist since 1,000 years ago. Its size were around medium to large according to cat’s measurement. The average weight is between 14 to 21 pounds with males Siberians being larger than females ones. Each breed of cats is different including these Siberian cats. Siberian cats have a sweet personality of friendly and adventurous. This type of cat breed normally mixed well with people. 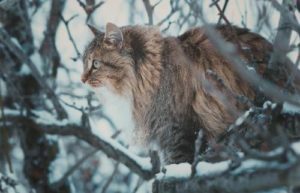 Besides these warming personalities, Siberian cats are also playful and active. Teaching Siberians a few tricks of throwing and fetching will ignite its playful behavior. It is important to engage in playtime and challenge them with new tricks to keep them company. Siberians known for having a few layers of coats. Three layers of coats to be exact. The outer coat, middle coat, and downy coat. Somehow the undercoat thickens when the temperature is cold. That’s not all, the coat is highly water-resistant. This is what set it apart from other cat breeds. The appearance of this breed was genetical to help itself to survive in the harsh climate of Siberia. The coat can come in various color combination. These majestic cats have good built and they can even leap especially high. The Siberian is considered a strong cat with heavy boning and muscular that takes up to 5 years to reach full maturity. Cats are awesome home pets. Cats, in particular, can lower human’s stress, depression, and anxiety level. On healthy wise, many people are not known that pets can actually lower your blood pressure and even decrease the risk of heart attack and stroke. Petting a cat especially has a positive calming effect on human. Also, cats don’t require as much effort as keeping dogs. Siberian cats, in particular, enjoy the company of their family. It loves people and it can affectionately follow you around. Siberians also known for their sensitivity and noted as a great emotional support. Siberians always welcome their human families and even their visitors for play time. Children especially holds a warm spot in their hearts. Their soft purr will talk straight to you with a purring sound. In particular when they see you coming to greet them or when you have come back from outside. These cats are also perfect for snuggling when you are also down under the weather. What a purr-fect companion it is! 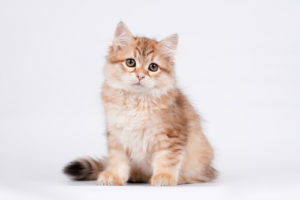 Siberian cat has a lifespan of 12 to 16 years makes a great companion to a family and definitely a keeper. There is a therapeutic value of keeping a cat at home. Nonetheless, one must keep on eye whether you could be affected on Siberian cats allergies. Some people do report that they have a lower reaction or some no reaction to Siberians. A few groups of people could have an allergy towards cats. If you are allergic to cats but would like to keep a cute Siberian Cat, please do test out your reaction before committing. These reactions could react differently based on individuals. Let’s also cover Siberian cat’s grooming since it is a keeper! You might be surprise but Siberian cats do not mind baths. A weekly brushing of its fur can help to keep it neat or untangled. An occasional trip down the pet saloon or clinic to have regular care like trimming its nails or have a simple checkup. Do keep an eye on checkup most common form of hereditary heart disease in cats. Always keep the litter box clean as cats are quite particular about hygiene. A clean litter box helps to keep its fur clean. Also a good reminder of a keeper, please keep an eye on Siberians when is outdoor. There will be a risk of being stolen after witnessing its features. Others would want a beautiful, majestic cat without paying a proper price.